Ever since the Cavium ThunderX2 256 Thread Arm Platforms Hit General Availability, we have been waiting for production server launches for general public consumption. 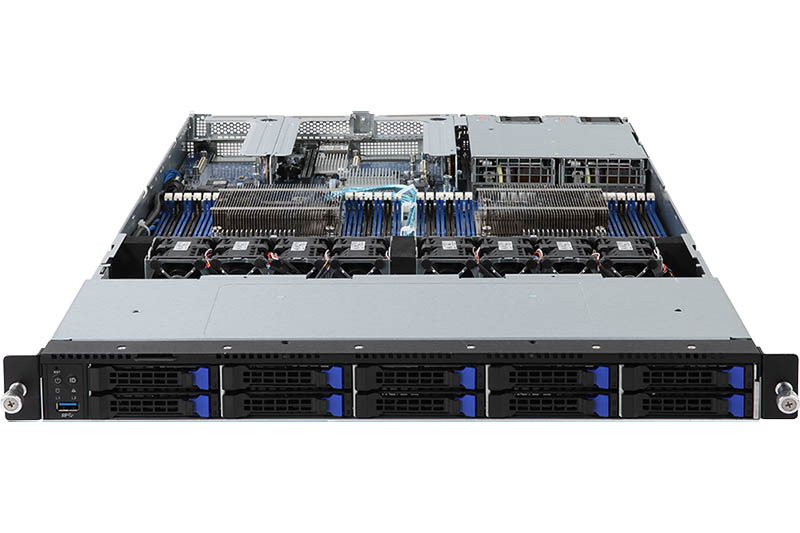 Gigabyte’s new Cavium ThunderX2 servers are here and are now generally available. Gigabyte has industry standard 1U and 2U dual socket options available for those yearning for a performant 64-bit Arm server. The Cavium ThunderX2 is a revolutionary Arm CPU with up to 32 cores and 128 threads along with full virtualization support, eight channel DDR4 memory, 56 PCIe lanes, and dual socket capability. 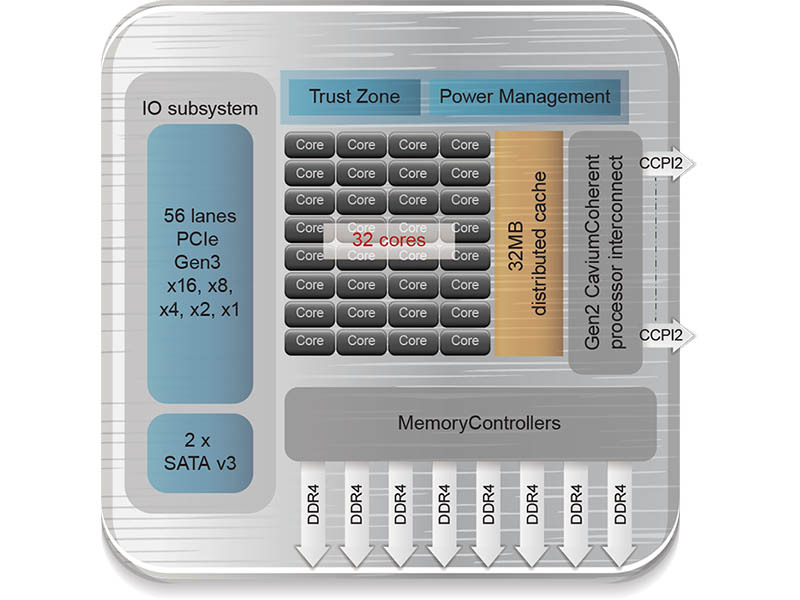 It is the first Arm server offering to compete toe-to-toe with Intel Xeon performance. 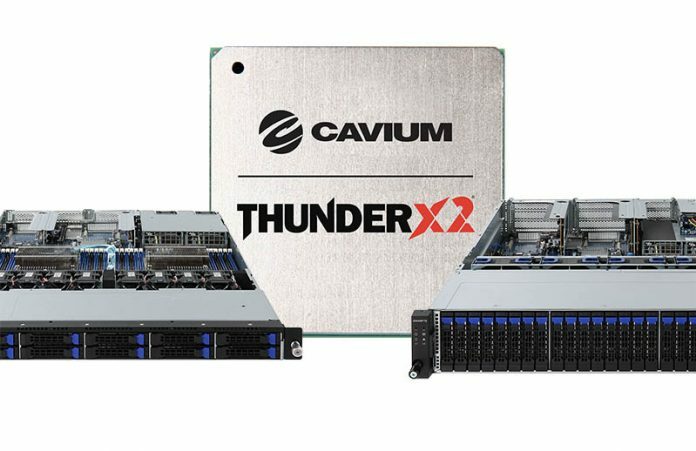 You can read more about this in our piece Cavium ThunderX2 Review and Benchmarks a Real Arm Server Option. During our review, we utilized a Gigabyte development server and posted updated power consumption figures in our piece Updated Cavium ThunderX2 Power Consumption Results. 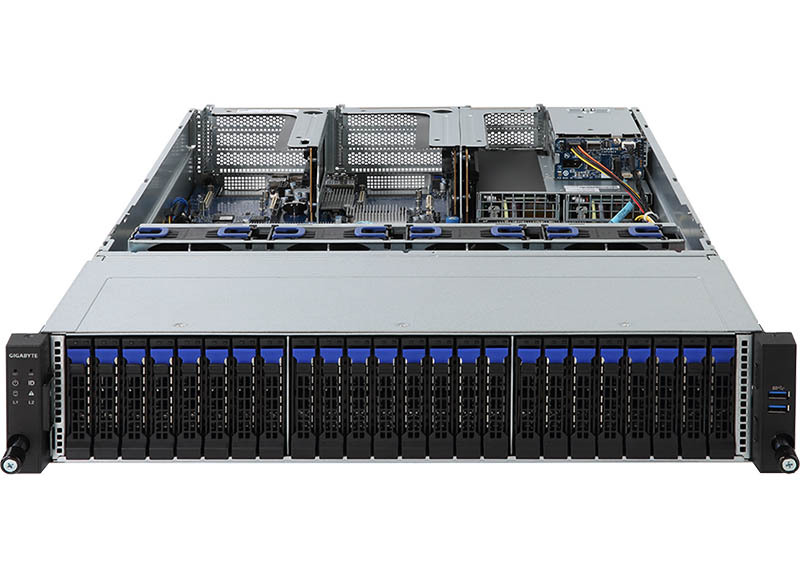 The first one of the two Gigabyte Cavium ThunderX2 servers launched is the R181-T90. This is a dual socket 1U system with riser-based PCIe and OCP mezzanine expansion. 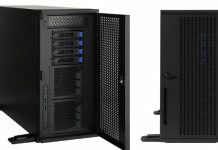 Front panel storage is a 10x 2.5″ array, and there are a total of 24 DIMM slots available. You can populate 16 of these DIMM slots and get 8 DDR4 channels per socket or two more than Intel Xeon Scalable provides. For those that want to connect more drives to the system, there is the Gigabyte R281-T91 which is similar to our Cavium ThunderX2 test platform. This has 24x front panel 2.5″ bays along with dual rear SATA bays for a mirrored OS array. There are also the same multiple OCP mezzanine card slots that we used for 10GbE and 25GbE networking in our review. These complement a PCIe array that can take advantage of the 56x PCIe lanes per CPU of the platform. Like the Gigabyte R181-T90, the R281-T91 supports redundant power supplies and industry standard IPMI management with iKVM features. Overall it is great to see production servers launched and generally available from an OEM other than HPE, Cray, and Bull Atos. If you want a 64-bit Arm server with real power and industry standard IPMI management, these are now the top platforms in the market. How it’s going to complete with AMD EPYC 7551P and 2×7451 servers?